Unfortunately, I did not prep my chia seeds ahead of time, nor did I have enough of any of the ingredients listed, so I created my own cake, inspired my the recipe listed above. Considering I do not have my vitamix, this cake was not as perfect as I would have liked it. However, it tasted delicious, so I’m not complaining. This recipe, will however, be modified, once I return to Denver and am reunited with my vitamix :). Grind all of these ingredients together. In a blender, mix all ingredients together. Chill to let frosting thicken and harden. In a 5 x 7 pan, layer the crust and the frosting. 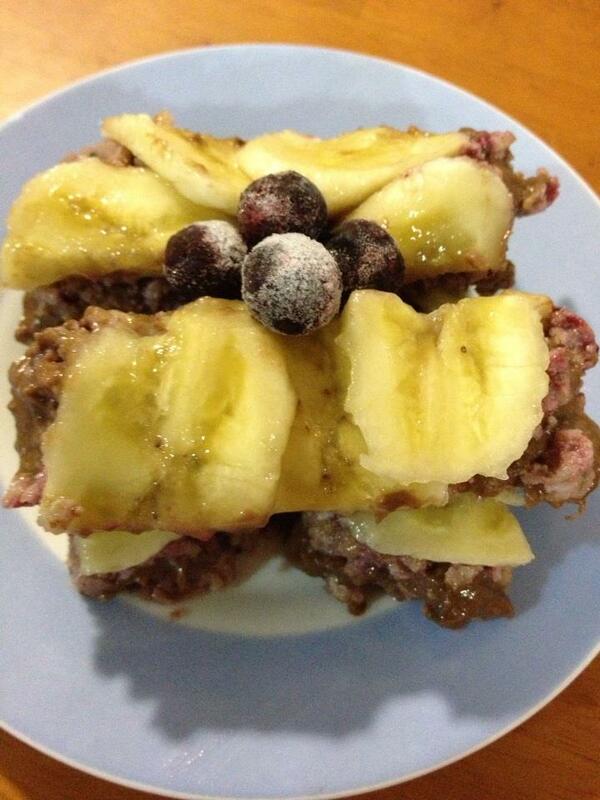 Garnish with bananas and coconut breaded blueberries. Chill for 45 minutes.